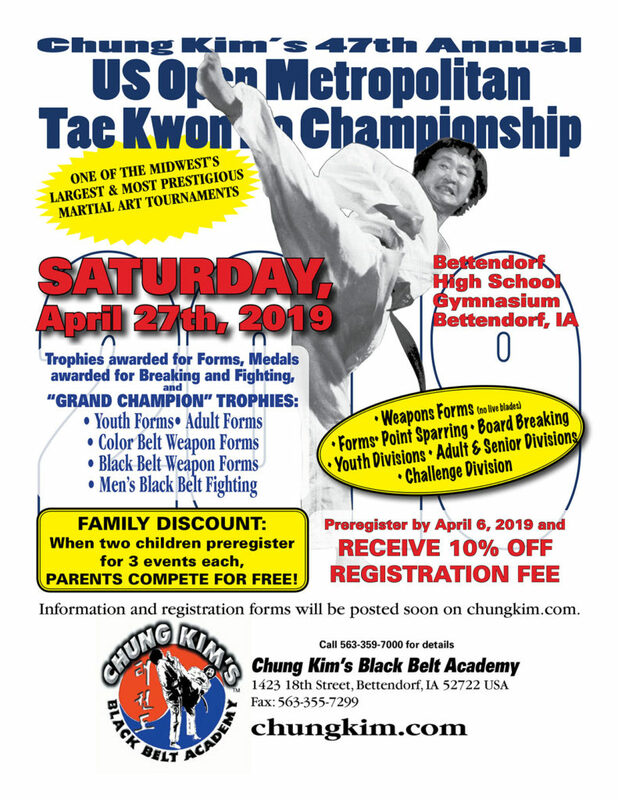 “One of the Midwest’s largest and most prestigious Martial Arts Tournaments!” Grand Master Chung Kim first introduced this competition to the Quad City area in 1972 and it has been going strong for nearly 50 years. 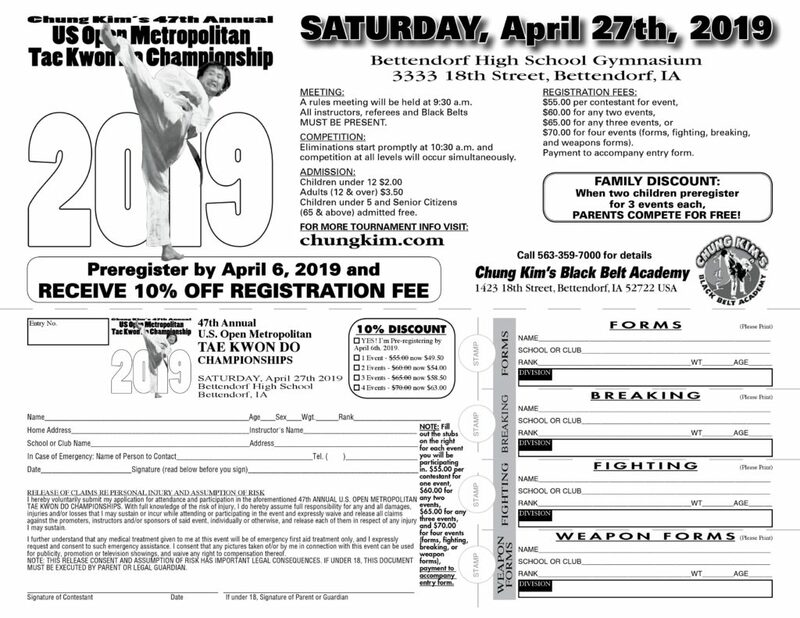 This tournament is open to all styles of martial arts, but is run under the strict guidelines of traditional Tae Kwon Do rules. Participants are invited to compete in Forms, Weapons Forms, Board Breaking, and Point Fighting. 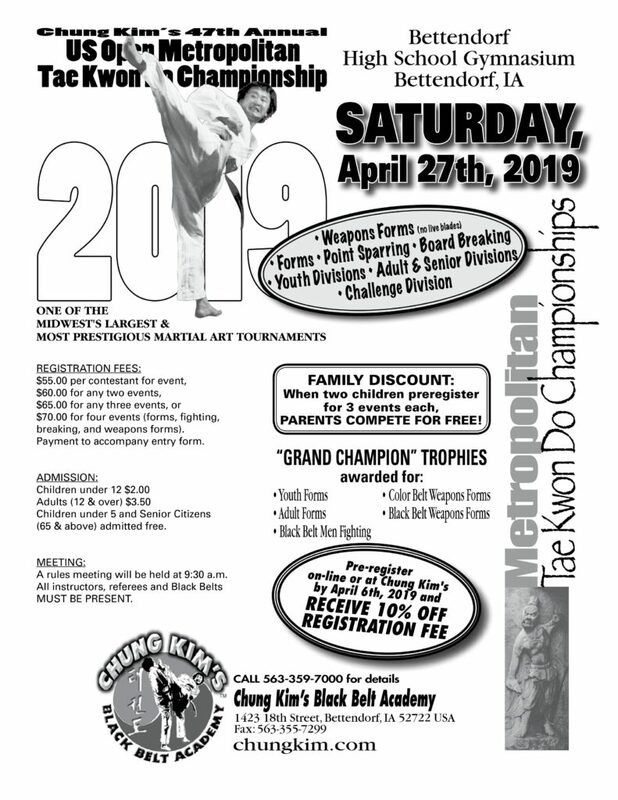 Grand Champion Trophies are awarded in Youth Forms, Adult Forms, Color Belt Weapons Forms, Black Belt Weapons Forms, and Black Belt Men’s Fighting. The tournament is held near the end of April, but you will want to sign up early! Download the “Entry PDF Form” above. Then call 563-359-7000 with your credit card information.